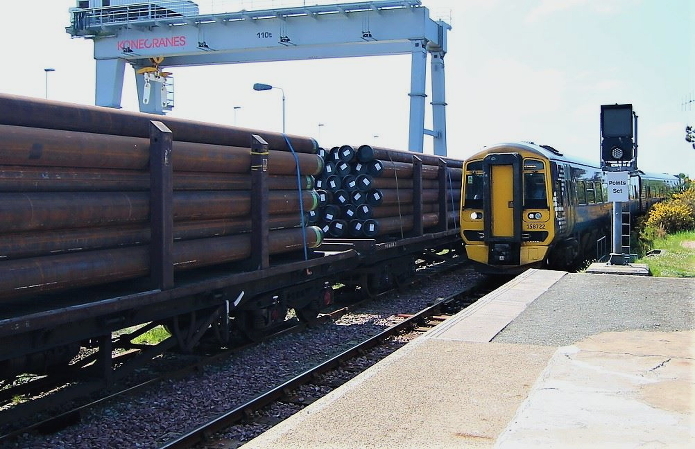 These were scenes at Georgemas on the Far North Line this summer as deliveries of pipes for Subsea 7's bundle fabrication facility near Wick got into full swing. This is the kind of traffic that is ideally suited to rail and scenes like these should be far more common than they are. 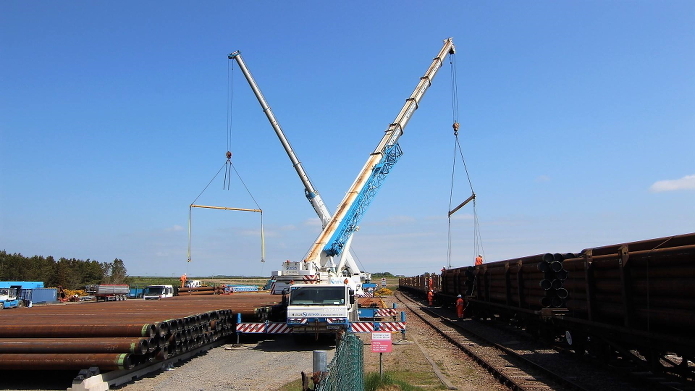 [Above and Below] Arrival and unloading sleeve pipes, June 2018. The geometric shapes made by the pipes, the trains, the cranes and the surroundings make for very pleasing photographs. The summer of 2018 has also provided a calm and warm-looking backdrop to what can often be quite wild country. It's worth having a close look at the bottom picture where Morven (706m) can be seen in the distance, complementing the horizon tree shapes. 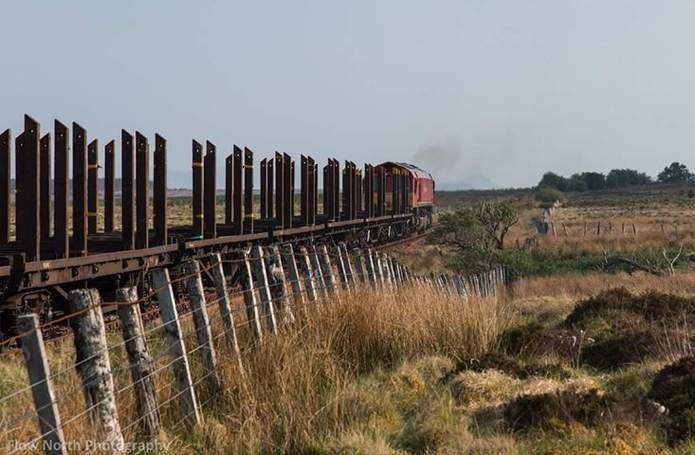 30th May, 66101 Heading south past Dorrery, near Scotscalder, to collect more pipes.